I am still here and reading everyday. Miss his voice and a Christmas concert. I am so gratefull to Luckiest1 who has provided me with dvd's of the Christmas concerts so I can enjoy them while I am wrapping gifts. Nobody sings Christmas like Clay. Still hoping he returns to either Broadway or singing. I have had a blast over the last 11 years and want it to continue. Happy Thanksgiving FCA. So sorry to hear of your family's loss couchie. Was he your mother's brother? I'm enjoying a contented and thankful day at home. Dinner with brother et al on Saturday. Happy Thanksgiving to all at FCA! My daughter and I are in San Antonio for the holiday. We decided not to celebrate one occasion, for the next year, in the usual way. We want to make new memories and not dwell on what went before. We had a lazy morning, had a fabulous Spanish style brunch and ended up at the Alamo. It was a really great day and I didn't miss cooking at all. 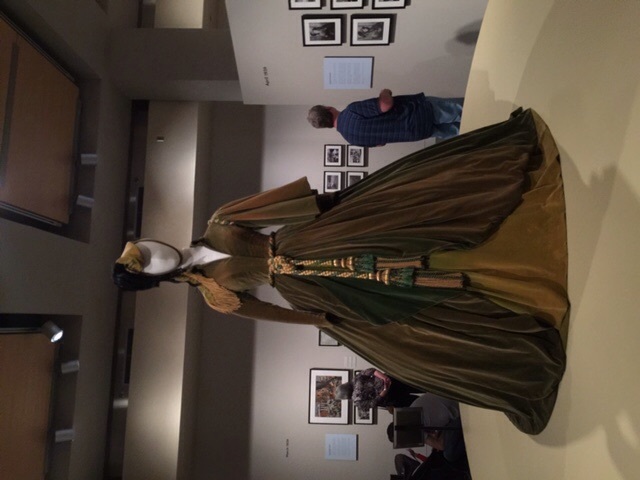 Tomorrow we are going to a parade on the river and then on to Austin to an exhibit of the making of Gone With The Wind. Our Xmas will be in NYC and if I can work it out I may spend new year in Mexico! I'm doing no cooking, no cookies, no shopping and no decorating this year. It's actaully quite freeing. I might put a lighted penguin out in the yard just because I always drive by houses that have nothing out and wonder why. Hope all the Americans had a great Thanksgiving. Merrieeee, good for you. I always wanted to break with tradition one year, but so far haven't got there yet. My mom is already in full Christmas planning mode, and instructed me yesterday to go buy the frozen turkey. I'd honestly love to *not* have turkey this year, but I don't think she'd go for it. I still have bags of left over Thanksgiving turkey in the freezer from October. Ugh. I can only make so many dishes with left over turkey, you know? Yesterday was a normal day here (hi couchie!) so I made myself a healthy pot of Sicilian fish soup with tomatoes & butternut squash. Yum yum yum. Naturpath says I need to eat more fish. Thankfully I love it. The weather has turned back to a wintery mix of snow & ice so it was warming. gbmifan, you're welcome. Glad you are still enjoying them. Does anyone know when our web concert is supposed to be? I always buy two turkeys at this time of the year; one was cooked yesterday, and the other was put into the freezer for later (probably about March or so). The carcass from yesterday was also put into the freezer; I'll make soup from it in January. I should eat more fish too, but I'm not sure how to cook a bunch of it. Besides, finding fresh stuff isn't always easy. Clay's still interacting with people on Facebook and Twitter! Christmas season is officially here! Now I can blast my Clay Aiken Christmas albums without getting the dirty looks! 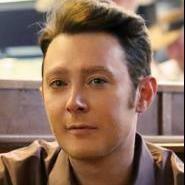 Clay Aiken Who's giving you dirty looks!?! FYI, in this case Chris is a guy. Pretty cool, eh? 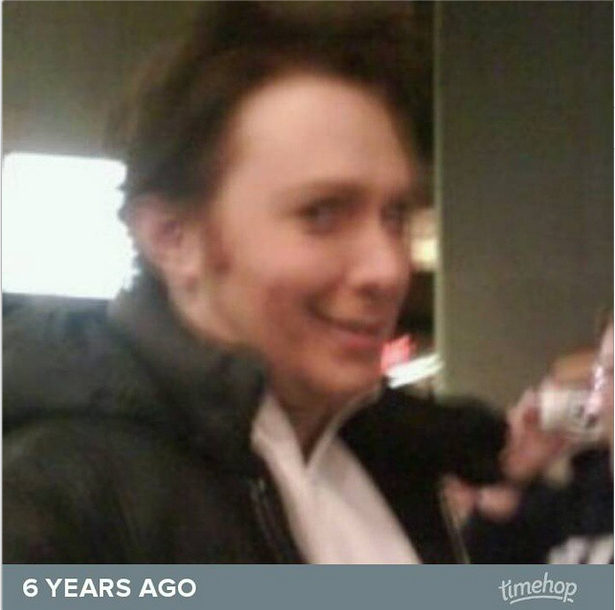 So @clayaiken is a pretty rad dude. He made a post on my friend @hdinred facebook page in regards to a cute joke. Good stuff Clay. Right on. I saw this today and it the real thing! Scarlett's curtain dress! My hope is that you have a wonderful day and year, and that you are fulfilled with whatever you chose to do. Use YOUR voice Clay -- however you want to! From playbill.com: a video retrospective of Clay on his birthday! Oh, and some...shall we say, classless person....wished Clay a happy birthday via Facebook by basically threatening his doom. (Actually, the post worried me a bit...) But then? CLAY responded with a "thanks for the birthday greetings!" And now fans are inundating the page with birthday wishes for Clay. I'm laughing like crazy that Clay actually responded, but the fans? I'm a little like "back off please..." But that's just me. Video from the other night, when Clay went out to meeting the Counter Protesters at the Equality Gala. He looked AMAZING. Home! Yeah. This probably sounds bad but I had one of the best Thanksgivings. I missed my DH but my daughter and I really enjoyed ourselves. I felt a bit guilty that I was, but as everyone says life goes on. Good for you merrieeee. Today is my husbands birthday an he was happy watching football while I shopped. Happy Birthday Clay. Hope to see a lot of you this year. Happy birthday also to Mr. Fear! No kidding! It appears once Clay makes a friend they are friends for life! Kinda like us? I'm really not surprised he's tweeting about this whole thing. Mr. Political, not afraid to throw himself onto the fire. He's a brave one -- and good for him. Hi everybody.Thanks for the condolences. It was my grandmother's brother that passed. And now his wife, my Aunt Lilly, is in a coma. They were married for over 60 years. She doesn't know he passed. I hear of this kind of thing all the time. Thanks for the grammy link. I don't know many folks but like to see the nominations. What's funny is that I just heard Sam Smith for the first time on the Grammy Xmas special. I've heard people sing his songs on The Voice. And I have to say his voice hurts my ears. He sounds weird. And his pronunciation seems off like he says half of the word. Guess I won't be buying his album. For the first time since 2007 I have no jobs to do on the weekend. I'm just relearning what to do with free time. It's so odd. Today I went to see Alex play volleyball. Her team lost but she was really good. As for the current state of America, I feel we are at a tipping point. I am trying to push these events out of my mind but so many people talking about them and I live in one of the places where there are demonstrations every day. I don't mind civil disobedience but don't condone violence or looting.. My square brother (who spent time in the service) got "the treatment" by the LAPD back in the 80's so there will always be a little bit of mistrust on my part although I think most cops are decent people. I think a lack of training is to blame in most cases. Very sad. I still can't get into twitter. It's interesting, because I think "Stay With Me" by Sam Smith is a classic blue-eyed soul song! I think he's a cool talent. Different strokes, eh? Hey, I'm just happy that Weird Al got a nomination for best comedy album! I agree about cops and training. While they can't prepare for every situation, they can prepare for MOST, IMO. I saw that Weird Al nomination and thought of you. Hey Just dropping by to say hello. I'm 25 years old now and doing a bit better than i was a few years ago. Anyway I just wanted to drop by.